If by now you have shopped JUMIA NIGERIA, and still wondering what efforts and dedication goes into providing you the best of service experience with your online shopping in Nigeria, look no further. 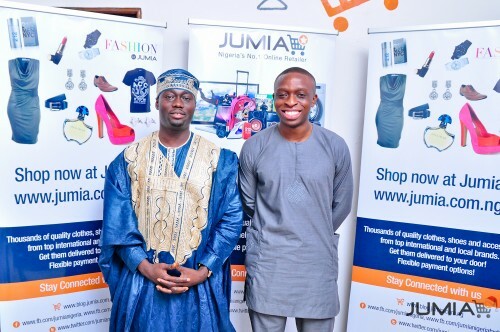 Meet the brains behind the innovative brand called JUMIA NIGERIA, Co-founders Raphael Afaedor and Tunde Kehinde. Two young pioneers in the Nigerian business environment who have not only set a new standard in the E-commerce sector, but have also used their business expertise to attract foreign direct investments for their genius business idea, and its successful execution leaving no stone unturned as well as succeeding despite the odds. Recently featured in Forbes Africa barely 10months into their business existence, JUMIA NIGERIA is currently enjoying the benefits of bold steps and inspiring other businesses in the evolving Nigerian online market. Tunde Kehinde and Raphael Afaedor are both Alumni’s of the prestigious Harvard University, say what you will, JUMIA NIGERIA has come to revolutionize the African business scene all thanks to the innovation and creativity of these two young men. You can now shop JUMIA NIGERIA in Morocco, Egypt and Kenya.